b-Sharpe Review - Can I trust them and how good are they? b-Sharpe Review: Is it safe? How does it work? What are the rates? How can you use b-Sharpe to send money abroad? Is their service reliable? 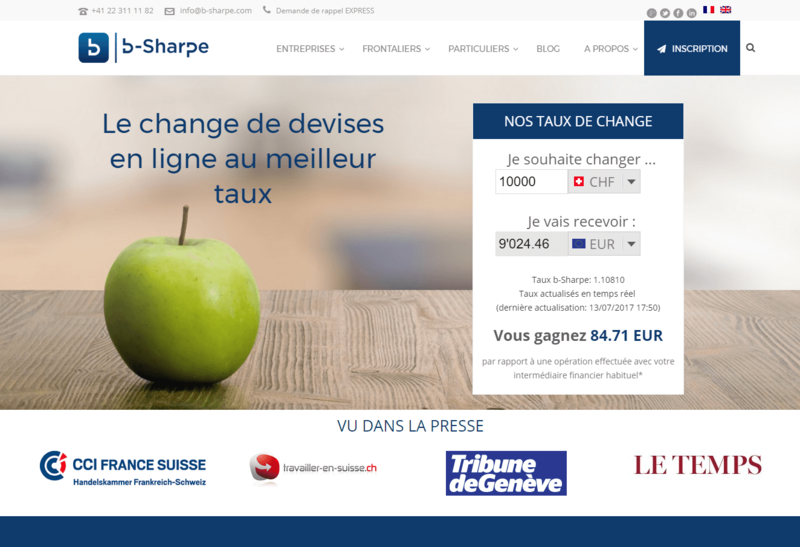 Can you trust b-Sharpe with your money? How good are their fees and exchange rates? Tell b-Sharpe where you need to send money and to whom. b-Sharpe will convert your money in the recipient's currency and send it to him through the selected pay-out option. We have partnerships with many money transfer providers (b-Sharpe included), which help us get access to their exchange rate and fees information (which we always check for accuracy). Those partnerships help us support our activity and offer our service for free. We put a lot of efforts to review money transfer providers like b-Sharpe in details and based on objective and verifiable criteria. A good example of that is the in-depth User Experience Benchmark Study we conducted in August 2018. Monito is an independent company based in Switzerland. We have an affiliate partnership with b-Sharpe, this means that we generate revenue when we refer new customers to b-Sharpe. We have such affiliate agreements with all the main and innovative providers of the industry, which allow us to remain independent and provide accurate and honest information to our users. This review of b-Sharpe is based on objective and verifiable criteria. Yes, b-Sharpe is a legitimate company and a secure option to send money abroad. b-Sharpe is part of Monito's network of trusted partners.